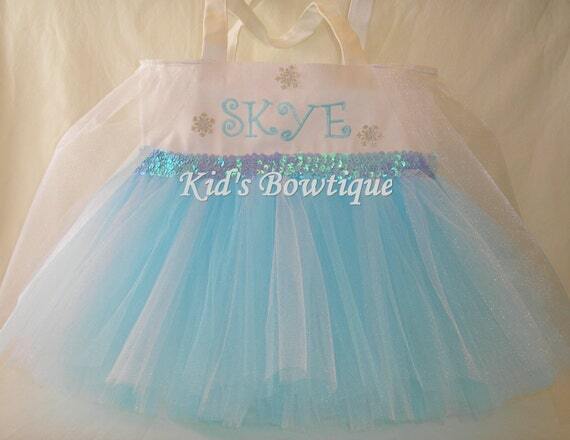 Included in our princess collection of bags is a tutu bag for any little girl who loves Disney Frozen Princess Elsa. 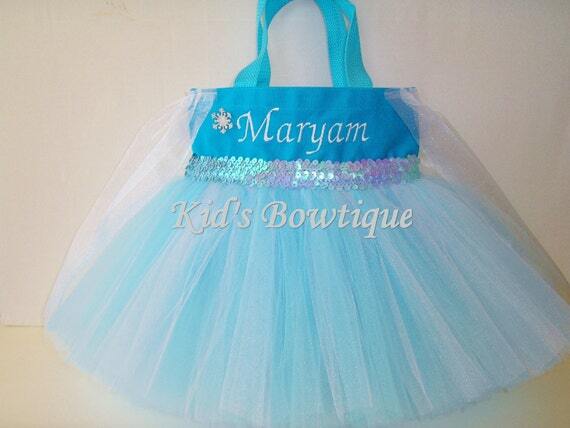 This tutu bag is made of aqua blue canvas (or white canvas), light blue/white tutu, light blue sequins, and sheer cape. We sew all accents/trims onto our bags for durability. Bag can be ordered in aqua 10.5X8.5, white 10.5X8.5, or white 13X13X3 size. Also available in matching party favor size bags (6X5). 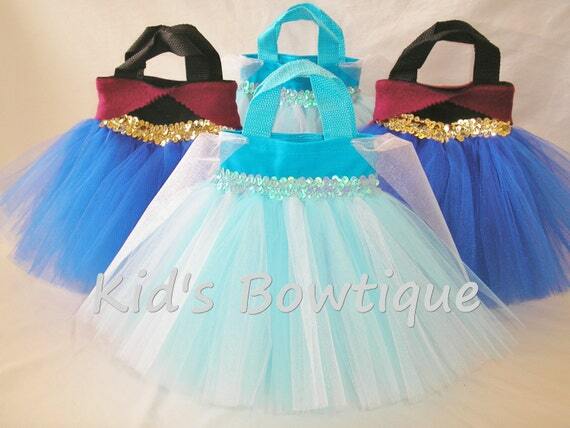 Aqua bag in front is for an Elsa themed party and black/blue/burgandy bag is for those who like Anna.